Everything is bigger in Texas, even the burn of a Bull Snortin' Hot Sauce! shower on that Texas sized steak they call the Ole 96er or your plane Jane vegetables. 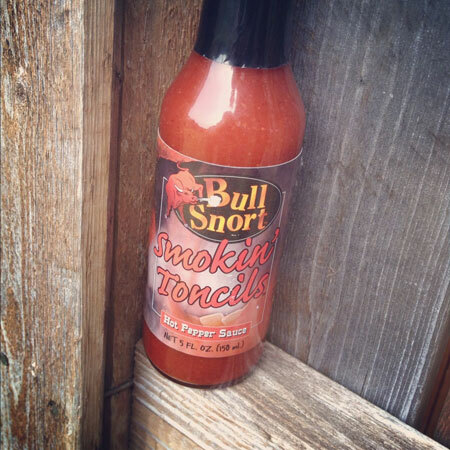 If you are a fan on making BBQ sauce from scratch like I am, you can use Bull Snort Smokin' Tonsils Hot Sauce as an additive. Red hot habaneros and cayenne peppers give this tonsil tingler it's famous flavor and red hot heat. 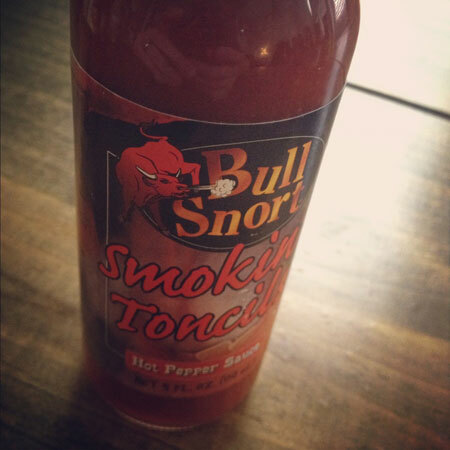 Bull Snort Smokin' Tonsils Hot Sauce'll have your bowels buckin' with just a drop!